Oz Trampolines anchor kits are cleverly designed to keep your trampoline firmly on the ground in windy weather. 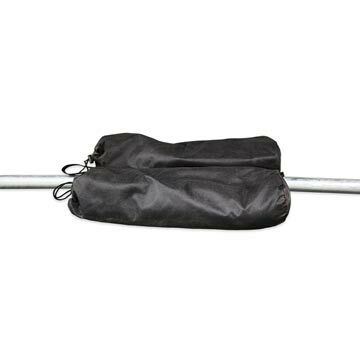 With a 12kg hold capacity, our sandbag anchor kits are the perfect safety accessory for trampolines used on hard surfaces. 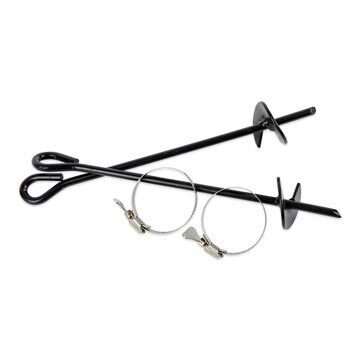 And for extra safety in bad weather, our galvanised steel pin anchor kit firmly secures your trampoline in soft ground. Since then Oz Trampolines has gone from strength to strength, and today we are an industry leader, voted Australia's best trampolines by our many loyal customers. 1 year warranty for the sandbag kit and 2 years for the steel pin kit. To order your sandbag or steel pin anchor kit, determine the kind of soil your trampoline sits on and then simply shop online or give us a call at Oz Trampolines any time on 1300 393 004.